If you know which part of the state you want to visit go straight to our guru's list of recommendations. Otherwise here are some good reasons to visit, and some of the best places to stay in Gujarat to enjoy them. Gujarat is a large and diverse state - a place which really brings home how varied and big India is. Even if you think you know this country well, Gujarat will have surprises for you. Just an hour's fight north of Mumbai, and so close to Rajashtan, Gujarat is known for its entrepreneurial spirit, resourcefulness and work ethic. This is partly to do with Gujarat's Jain community. This religion is known for disciples with a strong sense of devotion - yet also business acumen. You can see the fruits of their labour in the hundreds of dazzling, white marble temples decorating Gujarat. Ahmedabad is Gujarat's commercial capital, a big, sprawling, messy thing, where new buildings nestle in with old creating a visual - and audible - cacophony. Many people only use it as a stopping point, put off by smog and dirt, but beneath these you can find beautifully restored areas housing exquisite museums and colourful night markets. Ahmedabad's most famous highlights are Mahatma Gandhi's Ashram and The Calico Museum of Textiles, one of the world's finest textile museums. It might not sound like a highlight, but this is where you can see the wonder of traditional Indian beauty, heavily adorned in stunning embroidery and intricately made jewellery. Women, as well as men, work at producing these wonders. In a desert climate that seems far from suitable! This is the largest district in India, an inhospitable place. In the dry season it's all salt plains but in the wet it floods, and the tiny villages and areas of green atop the Ranns (dried mud hills) become islands. This incredible but fragile eco system makes it one of the best places to stay in Gujarat. Once owned by the Portuguese, this tiny island is why a lot of people include Gujarat on their Indian itinerary. Its beautiful beaches, colourful streets, delicious seafood and welcoming climate are the main draws. But it also has an interesting colonial story which you'll find out about if you visit the fort and the numerous whitewashed churches. 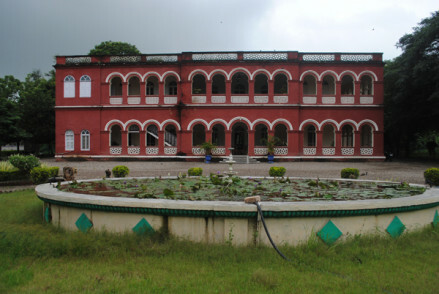 Diu is also famous for producing rum - so this is one of the best places to stay in Gujarat if you're looking for a party! Sasan Gir is the place to go in India if you want to see lions, and is surprisingly untouristy. The diversity of wildlife here is amazing from leopards and hyenas to porcupine and crested serpent eagles. Gondal is a leafy town north of Rajkot and former home to a wealthy family of Rajputs. Great for culture vultures with its historic palaces. 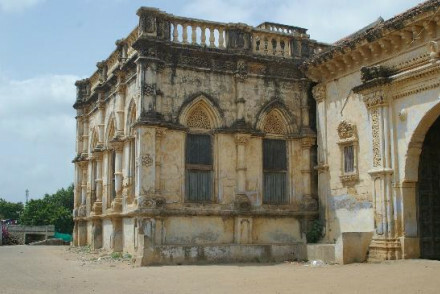 Many of Rajkot's grand buildings date from when it was capital of Saraushtra. These days it's Gujarat's second largest city, a lively centre for business and culture. 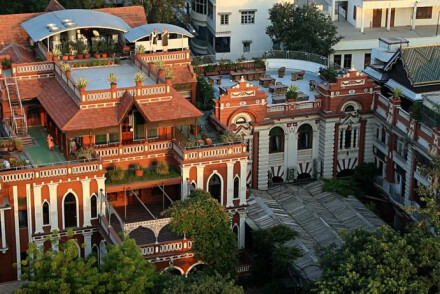 Most people know it as Gandhi's home. And a centre of great learning. Making it one of the best places to stay in Gujarat for travelling students and backpackers. The House of MG is one of the best places to stay in Gujarat if you want to immerse yourself in the state's heritage in textiles. Built in the 1920s by a textile tycoon, this 'house' has been tastefully restored. And updated where needed. The house's excellent rooftop thali restaurant means this is also a good choice for foodies. 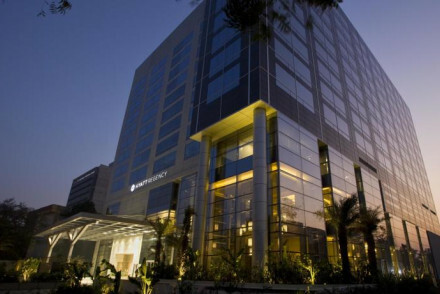 Or if you prefer a big name brand, book the Hyatt Regency, one of Ahmedabad's newest and chicest addresses. 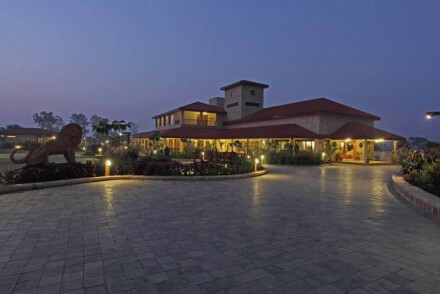 The Kutch Safari Lodge is one of the best places to stay in Gujarat if you want to visit Bhuj without staying there. In just the right spot to explore local villages, its 17 whitewashed, round cottages are unsophisticated yet charming. They also provide a good base if you want to explore the desert. And the traditional feel of the place makes it a winner if you want a traditional experience. For those looking for beachside luxury book The Beach at Mandvi Palace. The accommodation is in ten luxury tents - done in 'colonial-chic' style, with air conditioning, running water and balconies - on a vast private beach belonging to the royal Vijay Vilas Palace and looking out across the Arabian Sea. Browse our selection of the best places to stay in Gujarat and start to plan your adventure. 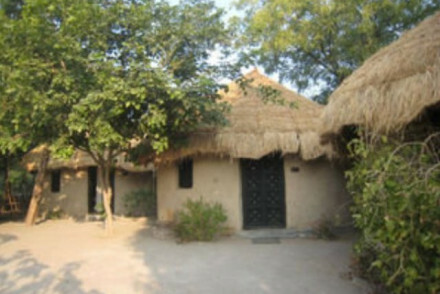 Thatched cottages and mud bhungas decorated with traditional art and mirrorwork. 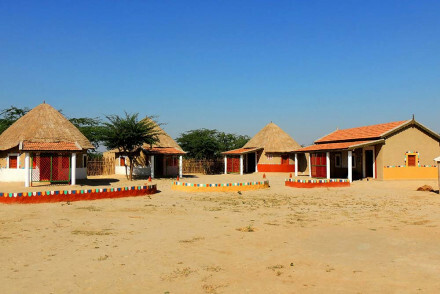 An authentic desert village stay near Gujarat’s White Rann. A safari lodge with cottages overlooking the Rudramata Reservoir. The perfect base from which to explore the tribal villages and handicrafts around Bhuj. Simple round white-washed cottages and a swimming pool. Local exploring - A tranquil base to explore the surrounding desert and villages from. 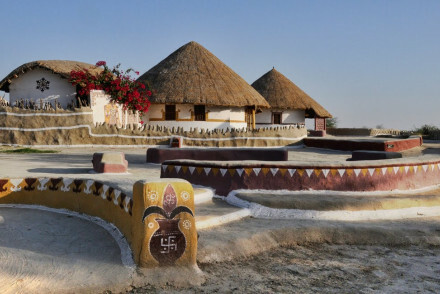 Sights nearby - Visit the 5,000 year old ancient city of Dholavira. An authentic desert camp in the village of Hodka, a half-an-hour drive from the extraordinary salt flats of Gujarat’s White Rann. 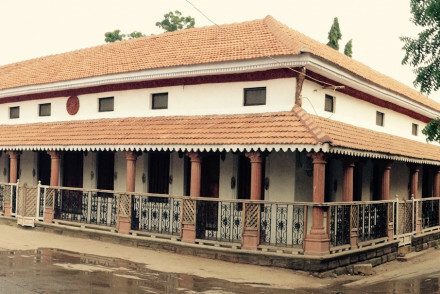 Full of charm and character, this 150 year-old traditional Parsi ‘courtyard’ house lies in the heart of bustling Bhuj. Following a painstaking renovation it has reopened as one of Gujarat's top heritage properties. In the heart of town guests are invited to experience life like a local. If you listen closely enough you might just hear a lion roaring so close is this property to Sasan Gir. Decorated in earthy tones all rooms, tents and cottages feature AC, power showers and private balconies or terraces. With a spa, gym, tennis courts and children's playground Fern Gir has it all. 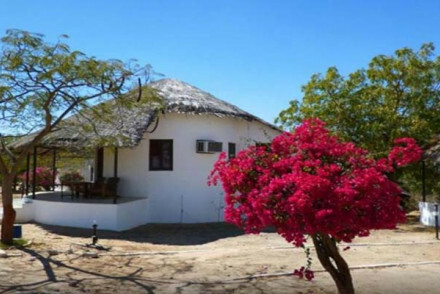 Back to Nature - Located on the outskirts of the Sasan Gir National Park you are ensconced by nature. Great walks - Join one of the daily guided nature trails. 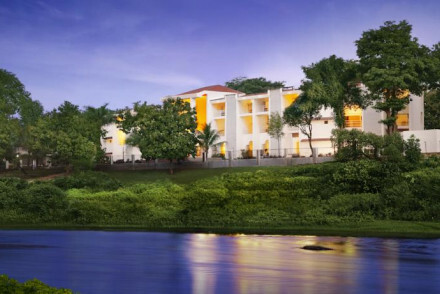 A luxurious stay on the edge of one of India's most famous wildlife areas. Expect everything you would from a world class name like Taj: spa, fine dining and excellent service. Rooms feature dark wood, traditional prints that Gujarat is famous for and private balconies. Plus an inviting pool. Sights nearby - The Uperkot Fort Nalsarovar provides an insight into the area's history. Back to Nature - Bordering the Gir National Park this property is enveloped by nature. Birdwatching - The Kamleshwar Dam has an impressive variety of bird life. An eco-friendly resort popular with wildlife enthusiasts. Charming traditional mud-plaster cottages with local fabrics and inset mirrorwork. A large open-sided restaurant, swimming pool and small lake. A great choice for safari adventurers, local explorers and wildlife lovers. Local exploring - An ideal base for exploring the local villages, wetlands and desert, as well as learning about the people and their way of life. Sights nearby - Visit the archealogical site of Dholawira which shows signs of civilisation from 2900 to 1600 BC. Fishing - Fish in the properties lake and choose to eat it for dinner or throw it back in. One of Ahmedabad's newest and smartest addresses. Rooms range from simple yet chic to stunning suites. There is an inviting pool (especially in the afternoon heat) and global dining options. The buffet breakfast is quite the spread. All this plus a gym and spa. A no brainer. Urban Heritage hotel, rich in history mixes nostalgia with modern conveniences. Bedrooms with dark furniture, artefacts, family photographs, some with balconies. Excellent Agashiye rooftop thali restaurant, gym and beautiful pool. Its great banqueting facilities make it an ideal spot for groups. Local exploring - Well situated and with ample amenities to aid relaxation after a day of sightseeing. Sights nearby - Endless options for sightseeing including the Jami Masjid, Bhadra Fort and Badshah. The hotel organises various tours. Great walks - The hotel have created an excellent map to guide guests on heritage walks. This antique-filled heritage hotel, in the beautiful town of Gondal, was once the guest annexe of Huzoor Palace. Magnificent, fascinating and unique. 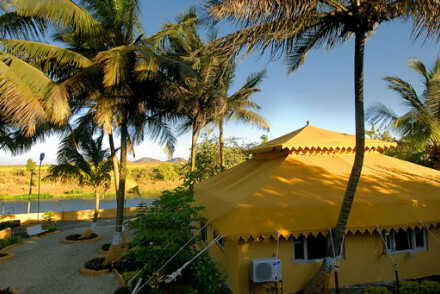 A camp on the beach with ten luxury colonial-chic tents. Fantastic sea-facing restaurant serving fresh seafood and Gujerati cuisine. Each tent has a private bathroom and verandah. An old-world ambiance with contemporary facilities. A deluxe way to do some local exploring. Total relaxation - A luxury tented camp on the palace grounds, forget your technology and soak in the tranquility. Great walks - The stunning area is paradise for walkers, wither along the coast or through the Mandvi Palace Estate. Birdwatching - Rise early and spot numerous bird varities in the Mandvi Palace Estate. 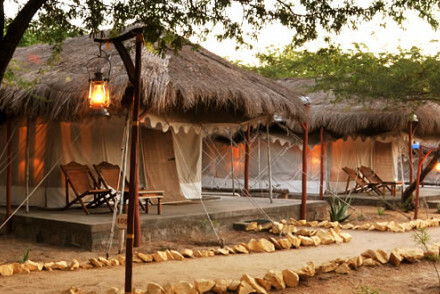 A luxury wildlife camp near Sasan Gir National Park, the only remaining home of the endangered Asiatic lion. Comfortable, characterful and authentic.